Solid hardwood is a gorgeous material to use in your home. It has a lot of advantages, but it also comes with some disadvantages, like a vulnerability to moisture and scratching. The best way to keep your floors looking beautiful for years to come is to ensure that you care for them properly. 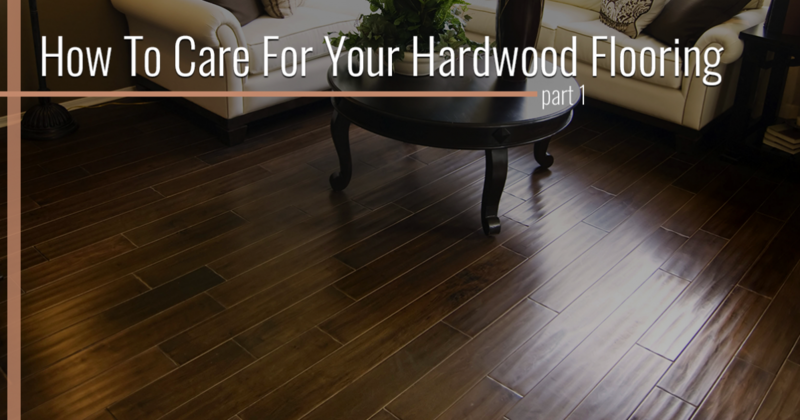 Good Ol’ Boy Hardwood Floors is here to help from beginning to end, whether you want to install new white oak floors in your home or you want to restore the gleaming wood flooring of your business. Try these tips for maintaining your solid hardwood floor and call Good Ol’ Boy today for installation and repairs! Not only does dust and debris tarnish the beauty of your hardwood floors, it can also cause some damage if left unattended. You already know that your wood floors are susceptible to scratching, and no matter how small the particles are, if dirt accumulates and is ground into the wood by a parade of shoes every day, it is sure to show. Avoid damage and keep your floors shining by sweeping or dusting every day. A soft-bristle broom is the ideal tool for picking up larger pieces of debris, but if you really want a clean floor, use a microfiber pad. Once a day may seem like a lot of maintenance, but you’ll thank us when your wood floors still look like new decades to come. If you can’t get to every square foot, you should concentrate on high traffic areas, which will see the most dirt and the most damage. Vacuums can be a boon for cleaning your wood floors, but they can also be a danger. They are wonderful tools for pulling dirt out from between the floorboards and for cleaning corners, but make sure you use the floor brush attachment if you have one. You should also be cautious of the fact that the wheels or beater bar may scratch your floors. Use with care! The mop is another cleaning tool that can help or harm your hardwood floors. It’s a great choice for treating hard-to-reach places and softly scrubbing away built-up dirt that escaped your daily sweep. However, you can’t use a mop on your hardwood floors in the same way you would use it in the kitchen. Instead of using your mop wet, make sure it is damp – almost dry – and use a cleaning product that is made specifically for wood. When you’re done, make sure you wipe up any excess water or cleaning product so it doesn’t warp the floorboards. 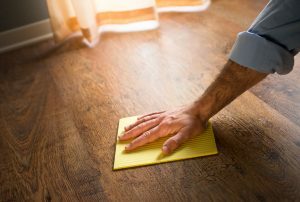 While you do have to take some care when it comes to cleaning your wood flooring, you have to admit that it’s not much to ask for a beautiful floor that will last for decades. Sweeping, vacuuming, and mopping are simple tasks that will add years to the lifespan of your flooring without adding those same years to its appearance. There are a few more steps that you can take when the wear and tear starts to show, so look for part two of this blog with even more tips! For installation of brand new solid hardwood flooring and professional maintenance, you know who to turn to: Good Ol’ Boy Hardwood Floors. Explore our portfolio for inspiration or call us today to get started!